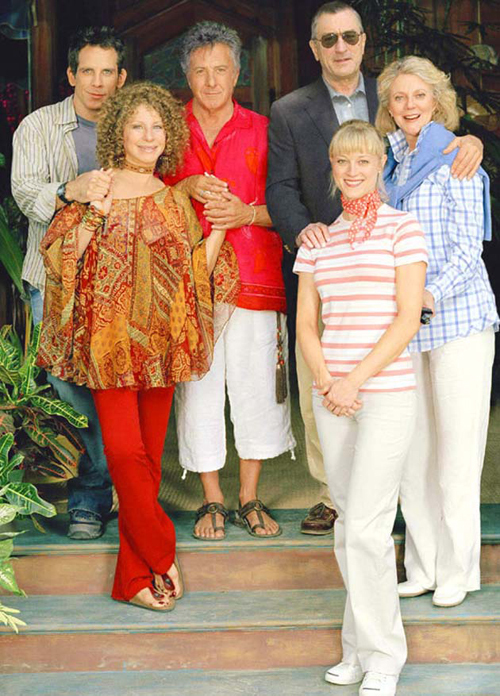 Your boyfriend has asked you to meet his parents. This is a long awaited moment for some, but to most it’s a bit of a stressful event, because you worry they will like you or not. After the initial stress goes away, the issue of what to wear arises. When it comes to occasions like this one, finding the right outfit can be quite stressful and time consuming, since apparently, your brain is certain that nothing you will come up with, is suitable to wear. Depending on the case, whether it is the first time ever, which means a more formal meeting, or you have met before and now it’s more of a casual gathering, the outfit needs to be fitting to the situation. You can’t go in shorts and flip flops to a first meeting, and there is no point in going too formal, to just hang out with his family, with which you have already been acquainted. 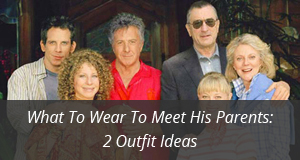 We have planned two outfits for this occasion, the first one for an informal meeting with the parents and the other one for a formal meeting. It will help you have a general idea on what clothes go best with either occasion, and maybe you will even find something in the items we’ve selected, that suits your preference and style. Let’s start with the informal meeting outfit. As you can see, it’s a very casual outfit, that can be worn in many occasions, and can be customized with accessories of your choice. The dress we have selected is from Kensie and it’s the Daisy dot eyelet dress. It is a short, sleeveless summer dress, in a dotted pattern, with the shape of daisies all over, hence the name. This dress is very feminine and goes well with heels and flats, but we’d recommend open- toe shoes, or sandals. The material is 100% cotton, which makes it a very lightweight dress and comfortable to wear. There are three colors available: Midnight sapphire, Canary and White and you can go with either of them, but we would suggest either white or yellow, since it’s more flattering to wear, combined with the jacket we’ve chosen for this look. 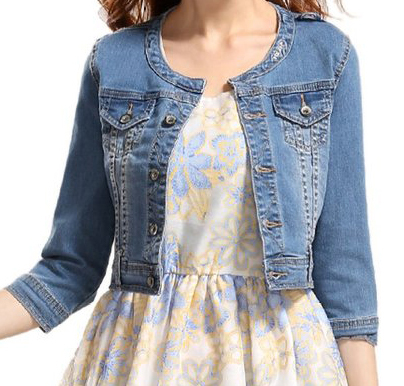 Denim jackets have always been trendy and they are so versatile to wear and quite comfortable. The style we’ve chosen is a medium- sleeved jacket from Funduation, made of 100% denim, with no inner lining. It has a crew-neck, and two upper false pockets. The jacket can be buttoned up and there are stitching details all over it, as well as around the hem and cuffs. It is a short jacket, making it very suitable to wear with dresses and comes in two colors: Blue and Light blue. As we mentioned above, sandals would go great with the dress from Kensie, so we have selected ZooShoo’s Peep toe sandals. It is a very trendy design, that can be worn with different outfits but goes great with dresses. 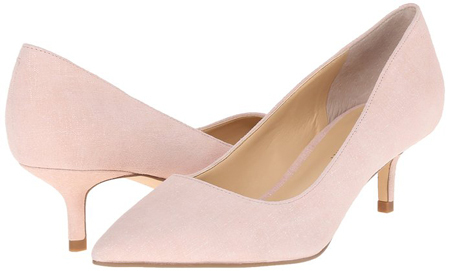 The heel is about 3 inches high, and they are made of synthetic material. getting fatigued or feeling discomfort. There are several colors to choose from, which is a good thing, because that allows for a variety of combinations. The colors available are: Black, Cognac, Stone, Camel, Burnt Orange, Blue and Mustard. Because no outfit is complete without a bag, we have selected a clutch satchel bag from HESHE. It comes in the color Brown, Black and Rose and can be either carried as with the wrist strap, or if you decide to put the shoulder strap, you can carry it as a satchel bag. It comes with three main pockets and a zipper pocket inside, as well as a rear zipper pocket to hold all of your valuables. There are also six credit card slots inside, so you won’t need to carry a wallet. It is a nicely sized bag, but not too big, which goes great with the outfit we have selected. We are done with the informal outfit and now it’s time to get on with the formal one in which we have included a jumpsuit, a jacket, a bag and the pair of shoes that goes best with the whole look. 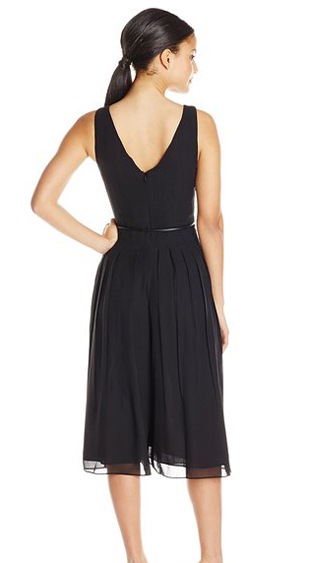 Without further ado, this is the Rochelle culotte jumpsuit from Greylin. 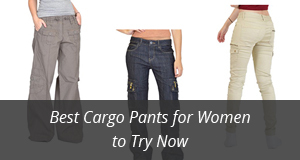 It is made of 100% polyester, making it very lightweight to wear. The best feature about it, is that despite being a jumpsuit, it can pass for a dress as well just by looking at it. It comes with a beaded rope belt around the waist and it can be zippered from the back. It is knee-length and sleeveless, with a very elegant design that you can wear in any formal event. This jumpsuit comes only in the color black. 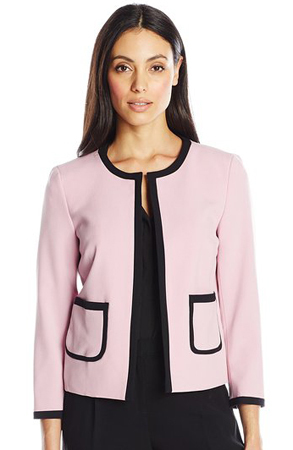 The jacket for this outfit is from Nine West, a framed open jacket. There are two pockets on the side and the sleeves end above the wrists, making this jacket very elegant but not too formal. The color is Indian pink, with black framing for the pockets, hem, cuffs and collar, an eye-catching combination, which goes great with the dress we have selected. It is made of 63% Polyester, 33% Viscose material and 4% Elastane. 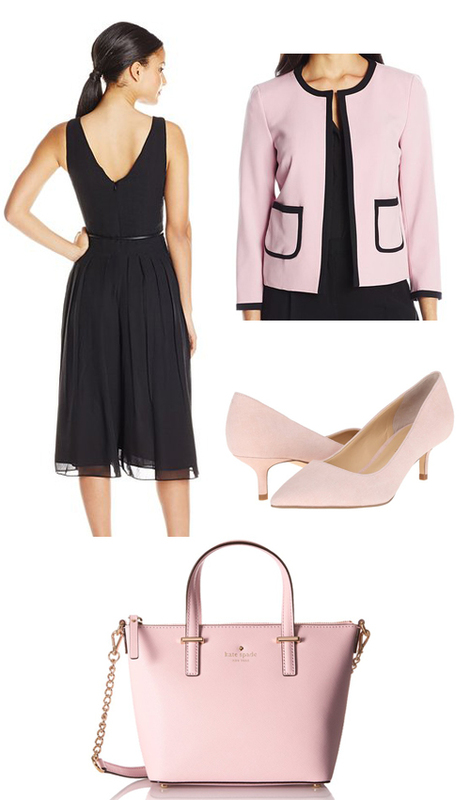 For the shoes we found that the Athena Dress Pump shoes by Ivanka Trump add more elegance to the whole outfit and keep the formal look on point. These shoes are made of leather, with a synthetic sole. They are not very high shoes, with the heel measuring approximately 2 inches, which means you can walk comfortably in them. They are dress shoes, and go well with either short or long dresses, and adding to that the numerous colors available, you can certainly combine them with any dress you own. There are nine different colors to choose from, which include: Black, Peweter, Sapphire Blue, Turqoise, Medium Natural leather New Fuchsia, Soft pink, Navy and Dark dune. 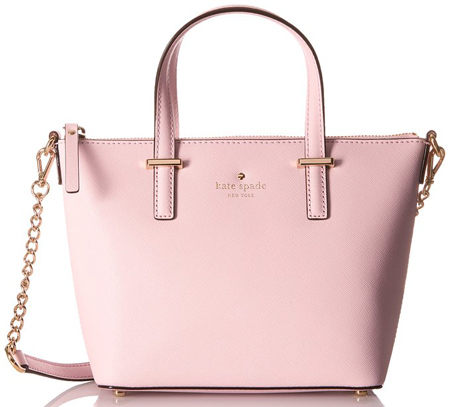 Completing the outfit with a cross body elegant bag from Kate Spade New York, it is the Cedar Street harmony convertible bag, that you can carry as either a handbag or a cross-body bag. 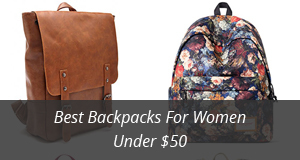 It is made of 100% leather, with a polyester lining on the inside. It closes with a zipper on top and it comes with double handles on top. The shoulder strap is a combination of leather strap and golden elegant chain. There are a lot of color options for this bag, which allows for many different combinations and they include: Pink blush, Black, Rose jade, Black/cement, Rouge pink, Sky blue, Solar yellow, Bright papaya, Cherry liqueur, Delphinium, Gold, Mulled wine and Fluorescent geranium. There you go, two gorgeous outfits for one of the most important occasions in a relationship. You can customize our selection with the jewelry of your choice and the colors you prefer and best suit you. Keep in mind to find the outfit that you are most comfortable in physically as well as mentally.